Radar Air Defense There are 5 products. 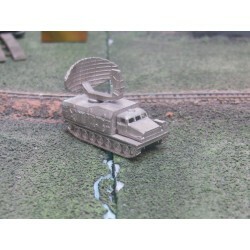 1x Thin Skin Altitude Radar 1/285 Scale Models Supplied unpainted, assembly required unless stated otherwise. Metal parts, not suitable for children 12 and under. 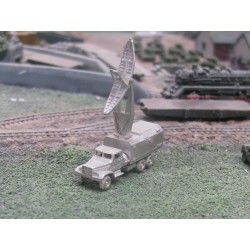 1x Flat Face Long Range Radar on Zil 157 1/285 Scale Models Supplied unpainted, assembly required unless stated otherwise. Metal parts, not suitable for children 12 and under. 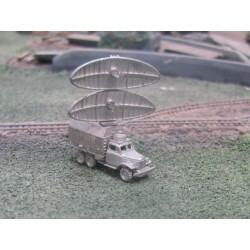 1x Long Track Acquisition Radar 1/285 Scale Models Supplied unpainted, assembly required unless stated otherwise. Metal parts, not suitable for children 12 and under. 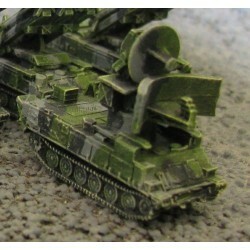 1x Straight Flush 1/285 Scale Models Supplied unpainted, assembly required unless stated otherwise. Metal parts, not suitable for children 12 and under.  2x Fan Song E 1/285 Scale Models Supplied unpainted, assembly required unless stated otherwise. Metal parts, not suitable for children 12 and under.